10DOF click is a mikroBUS add-on board for enhancing hardware prototypes with 10DOF functionality (10 degrees of freedom). 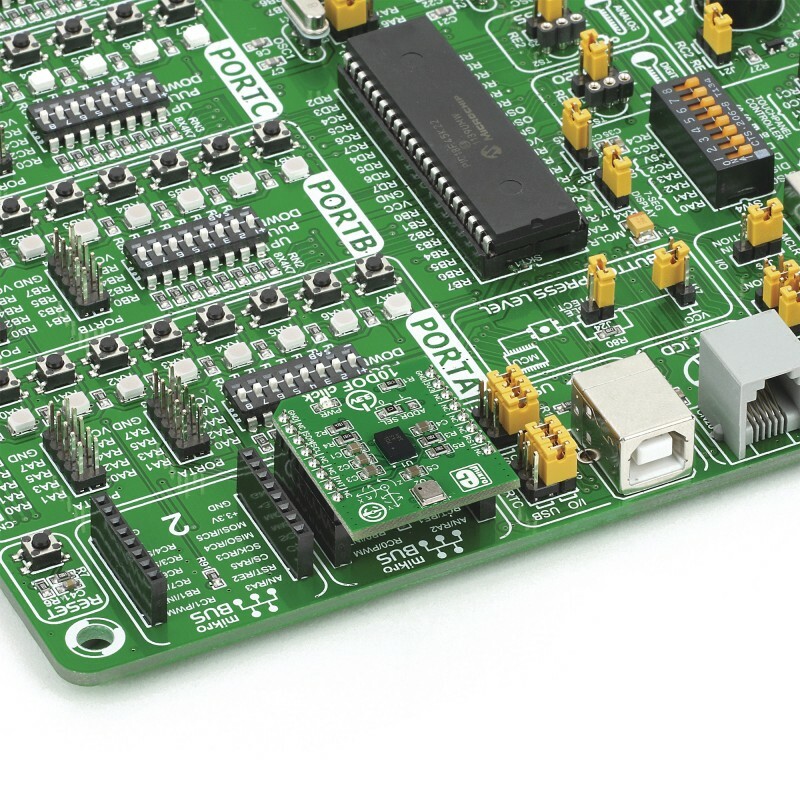 The click board carries two modules from Bosch: BNO055, a 9-axis absolute orientation sensor and BMP180, a digital pressure sensor. 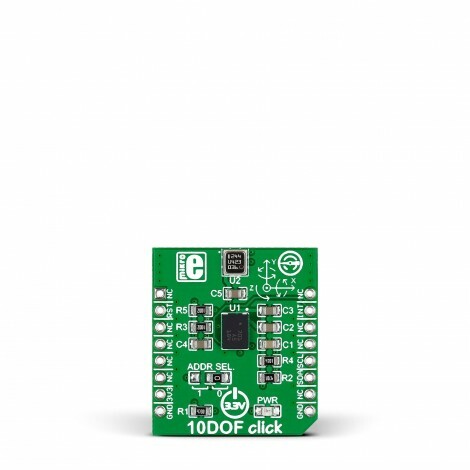 10DOF click is a mikroBUS add-on board for enhancing hardware prototypes with 10DOF functionality (10 degrees of freedom). The click board carries two modules from Bosch: BNO055, a 9-axis absolute orientation sensor and BMP180, a digital pressure sensor. 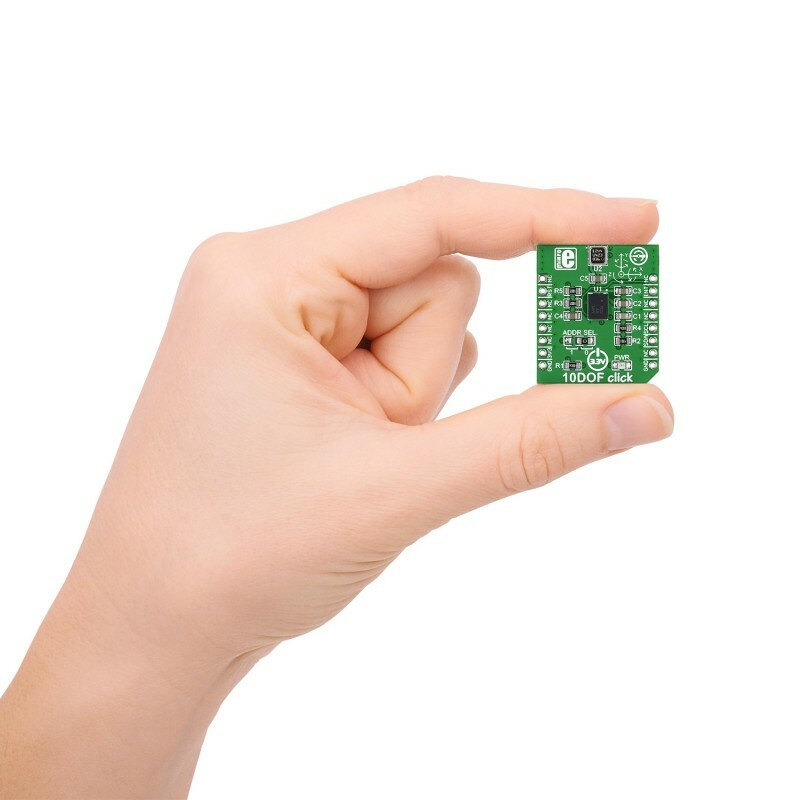 The BNO055 contains 3 sensors: a 3-axis 16-bit gyroscope, a 14-bit 3-axis accelerometer, and a 3-axis magnetometer, as well as a 32-bit ARM® Cortex®-M0 MCU with Bosch Sensortec sensor fusion algorithms. The pressure sensor is based on piezo-resistive technology, enabling high accuracy, linearity and long term stability. 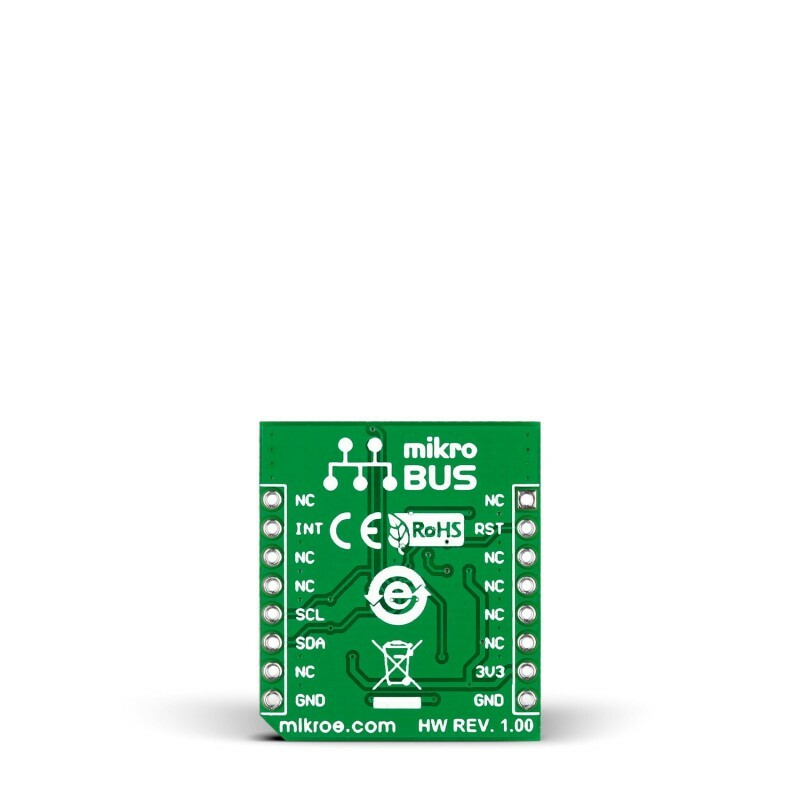 10DOF click communicates with the target board MCU through the mikroBUS™ I2C interface (SCL, SDA), with additional functionality provided by INT and RST pins. Designed to use a 3.3V power supply only.